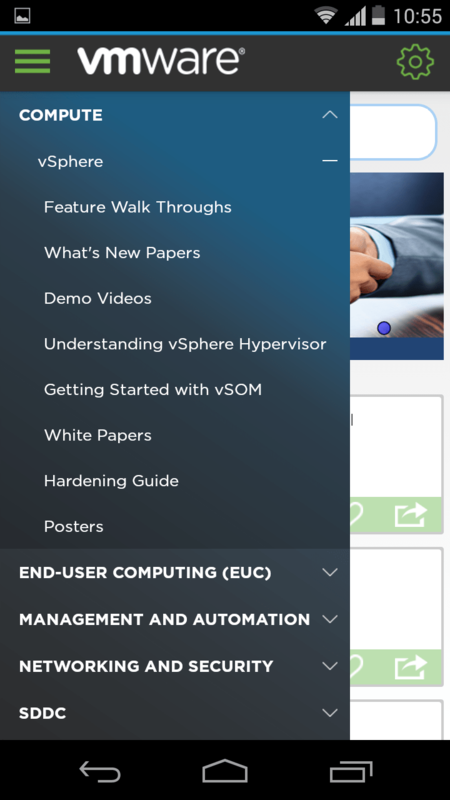 VMware has released the new product walk-through portal where one can find all the interesting things related to products and their features. This portal gives a really good technical overview of the products and their features for everyone who is interested in knowing what the products have to offer. It even gives you a clue on the kind of use case you can run to test/showcase the products. 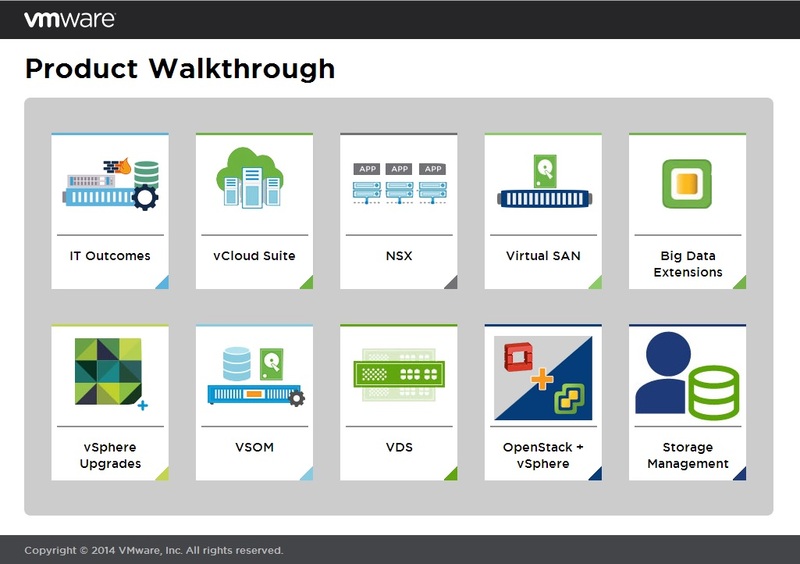 It will be very useful for most of the folks as this is not just a VMware preso that talks only about marketing stuff and not technical details. There are many step-by-step demos and also How-to’s which will take one of the features of a product and explain it thoroughly. 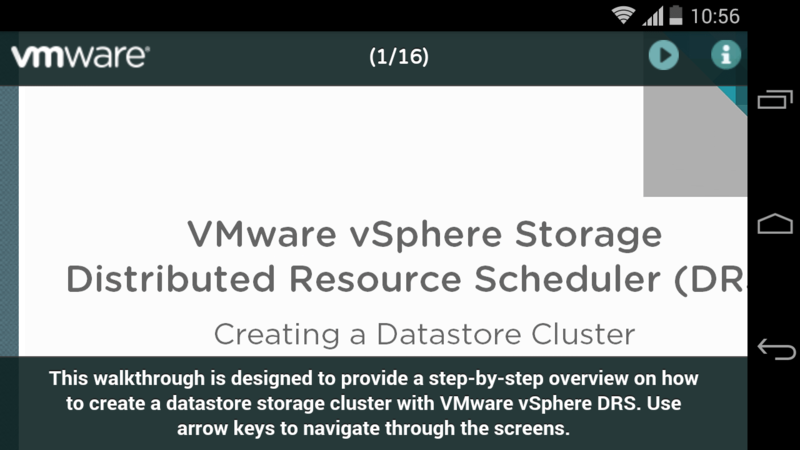 I loved the way big data extension is shown where they tell us how to deploy and scale a hadoop cluster on vSphere using the Big data Extensions. The same goes for every other product. I personally love the new design and all the new products that are included in the portal. One of my favorites in the list is the NSX walk-through. 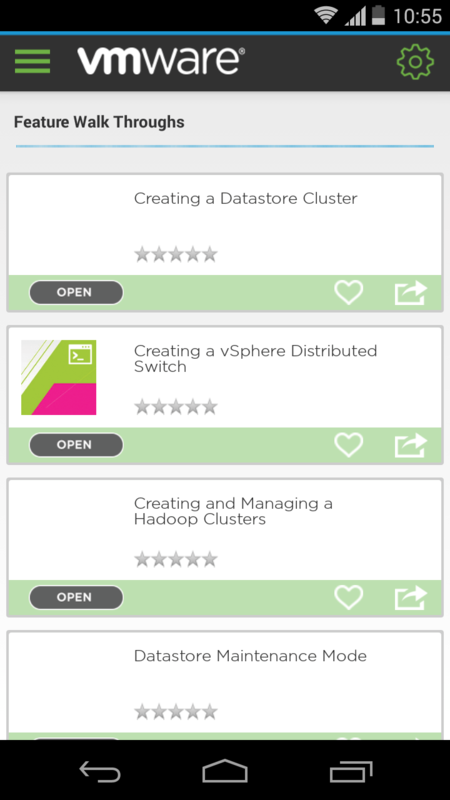 Some of the other interesting ones are Big data Extensions and Openstack with VMWare. 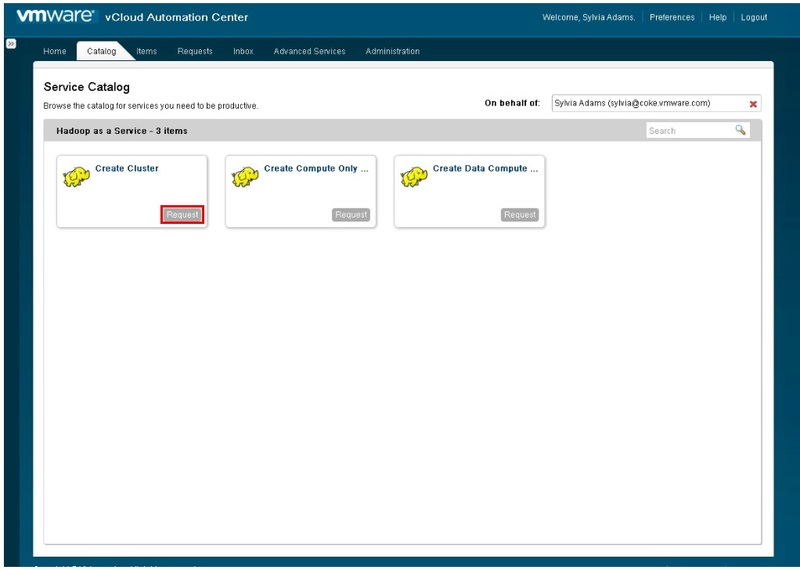 You can learn to deploy VOVA (vSphere Openstack Virtual Appliance) and play around with it and see how VMware integrates openstack and makes it better on vSphere platform. And i’m sure there will be more products added on to the list based on the feedback and the demand. Do check out and provide feedback to Josh who is responsible for these product walk-throughs. I would also like to appreciate the great work his team has put together to take this to the users. 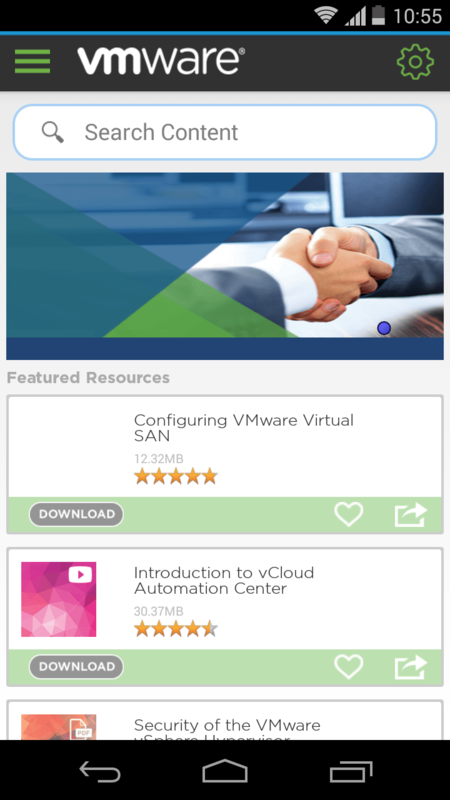 The walk-through is also available on the VMware Mobile Knowledge Portal (VMKP) App for both Android users and iOS users. Here are some screen shots from the Android App. All you need to do is find the app on Google Play store/Apple Store and download it. It’s very easy to navigate and you will find the feature walk-throughs for almost all the products listed on the left pane.